Marriott International is lining up a new luxury hotel in Sihanoukville, in the south west of Cambodia. 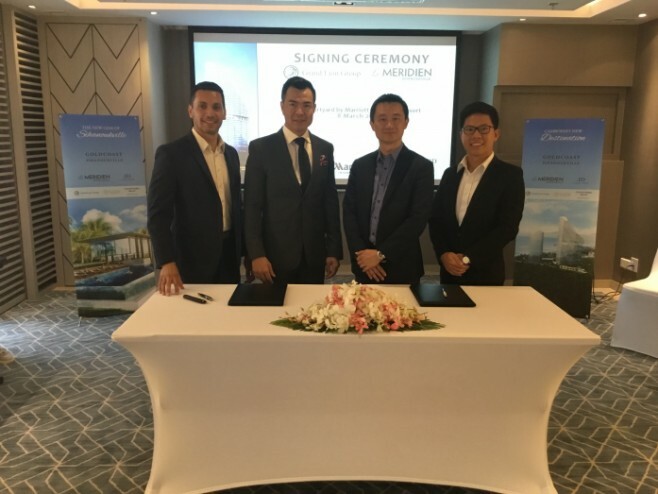 The Le Meridien will boast 388 rooms, along with an all-day dining/open kitchen concept restaurant, along with a speciality restaurant and a rooftop bar with views of the ocean. 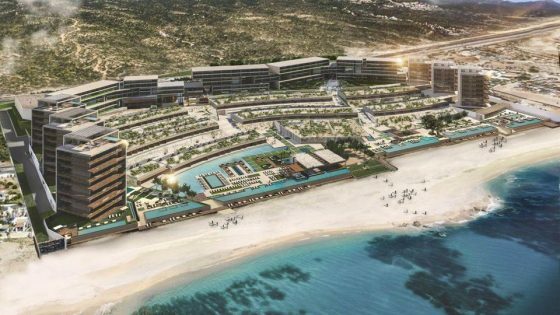 Guests will also be able to enjoy a fitness centre, wellness spa, and an ocean-front beach club with infinity pools, restaurant and bar. Meanwhile, meeting rooms and a ballroom accommodating 400 will cater for corporate visitors. Cambodian real estate firm Grand Lion Group has been signed by Marriott to manage and operate the hotel, which forms part of the $200 million Gold Coast at Shihanoukville, a mega hotel and luxury residence complex called the Lyon D’Or. 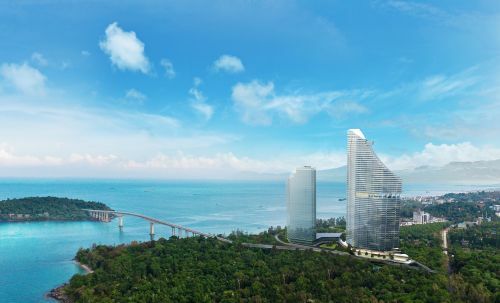 Some 58 stories high, all 888 units of this tower will enjoy panoramic sea views of the Gulf of Thailand, plus a rooftop infinity pool, sky lounge, fitness centre, spa, recreation and multi-purpose rooms. Residents and their guests will also enjoy the facilities and services at Le Meridien. The project will be designed by the award-winning Bangkok-based Tandem Architects 2001 and interior design firm JKY Concept. In addition, a collaboration with a world-renowned Italian luxury interior furnishings house is being lined up. 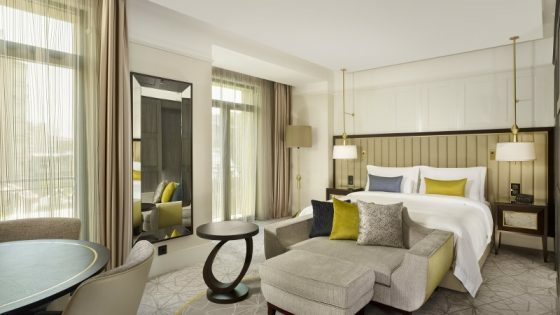 The opening date is scheduled for January 2022, with , following the opening of Courtyard by Marriott Siem Reap Resort in January this year – the group’s first hotel in Cambodia. “With the increasing growth in visitation to Cambodia, the time is ripe for us to introduce a global hospitality brand in Sihanoukville,” said the Grand Lion Group’s chairman and CEO Lundy Nath. “The region’s unspoilt beaches, pristine waters and laid-back ambience will appeal to international visitors in search of a relaxing coastal getaway.